What is the most difficult task in integrating health and physical education with other subject matters? Why? I think the most difficult task in integrating health and fitness education into other subjects is realizing the importance of such behavior. For far too long, our society – particularly the intellectual elite – has dismissed the physical and concentrated largely on the cerebral. It is not a unique observation to say that many educators treat education as an industrial process, where knowledge is poured into children’s heads. Fortunately the pendulum is swinging back towards center and current educational thought emphasizes child-centered and whole child teaching. In this vision of education, the decisions as to what if efficacious starts with the child. The question is how to optimally prepare our students for becoming creative, productive, successful, healthy, open hearted adults. This inquiry leads quickly to understanding a need for the re-integration of body and mind in the classroom. To teach a child, we need to take care of their intellect and their physicality simultaneously. Two books I think every teacher should read are Spark: The Revolutionary New Science of Exercise and the Brain and Strategies for Teaching Boys & Girls. The first book explains the research and practical results that show the critical connection between body health and fitness and brain health. Physical exercise not only builds a strong resilient body, it is essential to balancing the neurochemistry of the brain. The second book discusses a number of research based, child-centric strategies for helping children engage successfully in their own education. It emphasizes the need for relevance and novelty in lessons and the very high level of need for physical activity in the classroom. Complementing these two books is Brain Gym, a series of mental/physical activities to refresh, focus, and activate learning. Unfortunately, mainstream education values classroom control above nearly everything. A teacher whose classroom appears chaotic, even if her children are excelling at performance criteria, will be viewed at best with suspicion. Control seems to be the primary fear of many educators. “Losing control of the class” is perhaps the biggest fear and biggest sin. The price of this is lower performing classrooms overall and a major equity problem for the large minority of students with strong physical needs and/or less powerful self-control mechanisms. The simple fact is we are educating our children unnaturally and many cannot or will not endure the discomfort. It should be noted that this apparent indifference to the physical spill over into health in several ways. First, this indifference is clearly broadcast to most of our children on most days. Is it any wonder they too grow up not valuing the physical? Second, they certainly receive little formal training in health and there is little in the culture to support healthy decisions in the absence of such formal training. Third, being trapped in classrooms like egg laying hens does nothing to teach them of the joy of physical health and activity. Fourth, what PE we have often offer taxes their meager capabilities, leaving most with the sense that physical activity is unpleasant, hard, and something beyond their genetic ability. Finally, they are taught to subordinate health to other things society deems more important, two leading examples being achievement and convenience. Is it any wonder that so many Americans settle for fast food meals as they ricochet through their hectic lives? Having decided to go contrary to the culture, a classroom teacher who wants to integrate health and fitness into her classes is left on shaky ground. She will be seen to be out of paradigm and she will have little support, in most cases. It is a bit of a leap into the dark. 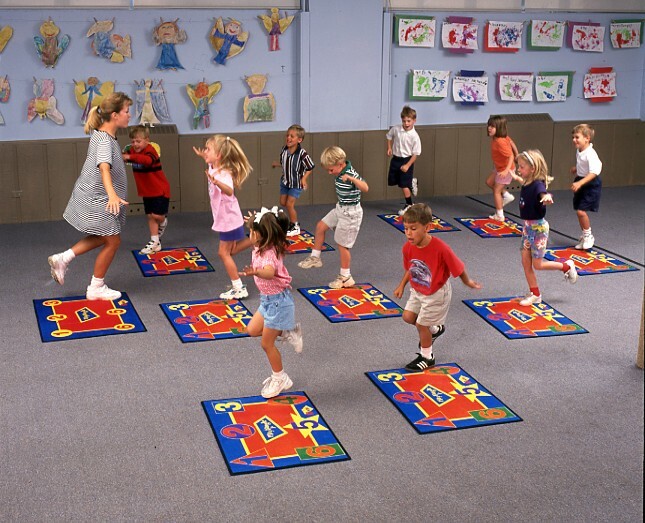 She must integrate lessons on health and fitness, at the cost of other core instructional activities, and she must take the time to address the fitness/activity needs of her students. Some argue that crisp transitions between activities is key to better student performance. Industrial logic suggests that more time on task is more learning. A health sensitive teach will add physical/mental refreshers into transitions, lengthening them. Fortunately, research and practice both confirm that hammering core subjects constantly is inferior to a balanced schedule. Study after study confirm that less time on core subjects balanced with more time on PE, recess, art, and music leads to increased performance in core subjects. The leap into the dark will bear fruit, we know that. So what is left is braving the social stigma in the school community. This is where quiet dedication and a willingness for non-judgement information sharing can help the teacher and, perhaps, change the school environment for the better. It may not, the teacher may feel she is constantly battling her peers and administrators. Then it’s time to look for a more convivial work environment.